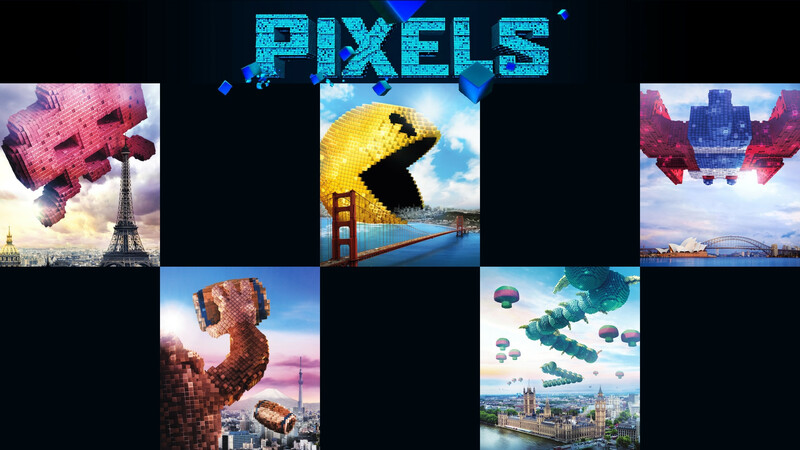 Pixels is a new version of the global danger awaiting the world in future. The source of this danger are the famous computer arcade game characters created by humans. This time people are to fight against their fruits of imagination. The main fighters are the 1980s champions in computer games. The villains are PAC-MAN, Space invaders, Galaga, Donkey Kong, and Centipede. The following collection of Pixels Movie HD Wallpapers, posters and still shots give a better impression of the new sci-fi movie directed by Chris Columbus and starring Adam Sandler, Kevin James, Josh Gad, Peter Dinklage, and others. 2. A new page will be opened with the full-sized image.